Each semester's recruitment season serves as the introduction of prospective members to PAD's culture of fraternalism, inclusivity, and community. Aside from each of our individual legal aspirations, PAD members are excited to show their openness and accessibility as they meet new applicants at events like Meet the Chapter and Social Night! Both of these events are meant to spark a connection between the applicant and the fraternity as a whole, showcasing the welcoming atmosphere that our members enjoy so much. Alongside more professionally-oriented events of the recruitment season, like our Professional Night or Attorneys Panel, these nights give a potential member a great look at the people who make up PAD. 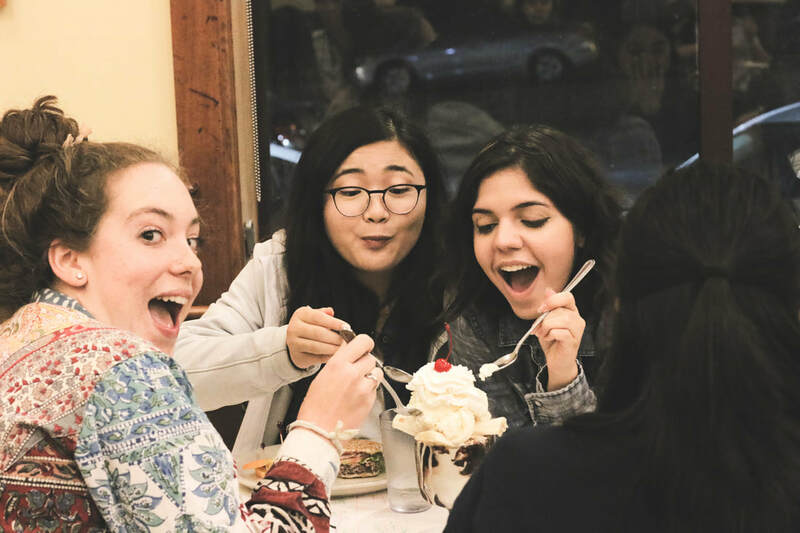 After PAD's new class settles in, the Emeryville Social is a great way to meet these new members and engage in the network of Cal students who truly enjoy each other's company. Both new and returning members are welcome to this event as they walk the streets and prepare themselves for a surprise! Just like many events after, this social is an amazing way to connect with older members and learn more about what experiences are available to you as a PAD member. Sweet treats and PAD members - what more is there to want? This event, put on by our Fellowship committee, marks the beginning of each great semester, combining after-class dessert and bonding with amazing members! The Ice Cream Social is also one of our most enduring traditions and is one of the best ways to really get to know your place in PAD. An easy way to unwind after a week of schoolwork is always welcome. Game Night offers members with the time they need to destress and enjoy each other's company in the middle of the semester. Attendees are free to bring in board games, snacks, and more as members continue down their journey in PAD. Our committee for Legal Events also puts on a semesterly Legal Jeopardy competition where PAD members can test their legal and other trivia knowledge. A casual night out, Late Night Bowl is a tradition that always lifts the spirits of members and offers an early chance to get to know your pre-law family better. Those that attend experience a fun night of bowling with their PAD siblings at Albany Bowl, and quickly learn that PAD not only sharpens your legal interest, but your bowling game too! Each semester, a house is rented, views are enjoyed, and friends are made. The semesterly PAD retreat is a favorite among members as we all journey out to a scenic location and enjoy each other's company over the weekend. 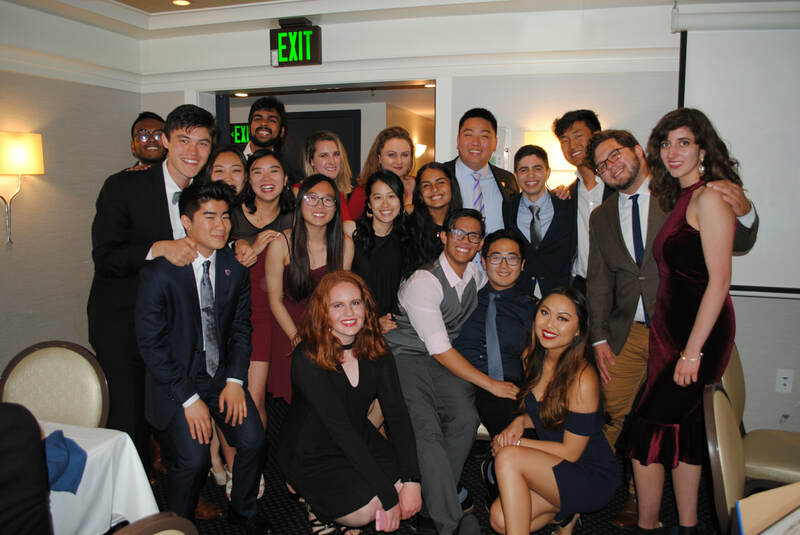 While away from Berkeley, members at the retreat can experience firsthand the fraternalism and close-knit connections between others, and are invited to join! Previous locations include Lake Nacimiento, Lake Shasta, and, of course, Lake Tahoe. As a culmination of each semester's events and opportunities, our banquets look to gather all PAD members to recount on the best experiences of the year and embrace the beginning of a new semester. Filled with empowering speeches and overviews on committee work throughout the semester, this event allows members an outlet to express their fondest memories in the midst of camaraderie found nowhere else in Berkeley!